This is based on a winery supplied sample. In 1979, John and Harry Mariani, family proprietors of Banfi Vintners, acquired a mid-18th century winery, known as Bruzzone, revitalized it and renamed the facility Vigne Regali. 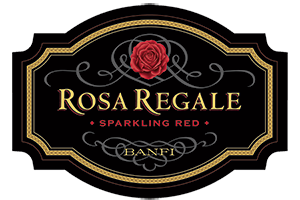 Here, with the same detailed care as a century ago, our skilled winemakers produce “Rosa Regale” Brachetto d’Acqui D.O.C.G. This rare Brachetto, a semi-dry, red sparkling wine cherished by the courts of Europe over two centuries ago, owes its reincarnation to Banfi. According to popular tradition, the wine was greatly appreciated by, and was the preferred beverage of one of the most famous characters of the Italian comedy in masks, Gioan d’laduja or Giovanni of the jug. 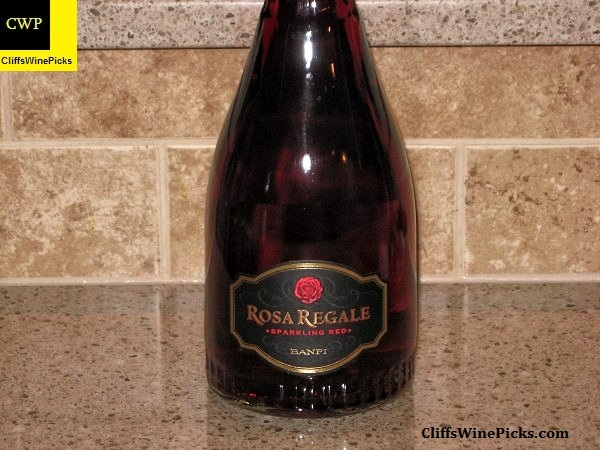 The figure is said to have drawn inspiration for his bubbly high spirits from this fizzy red wine with a fragrant foam. This light bodied and sweet sipper is perfect for a small gathering of friends or to sip on the patio or deck on a warm evening. With its low 7% alcohol, a second (or third) glass is not out of the question. The general average price for this wine is around $20, but I see it being available via wine-searcher.com for as low as $15.